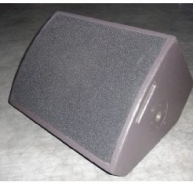 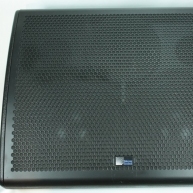 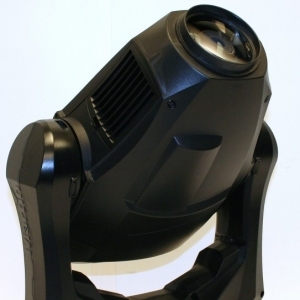 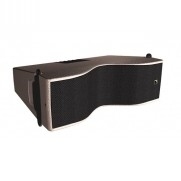 The JFX560 is a 2-way multi-use loudspeaker. 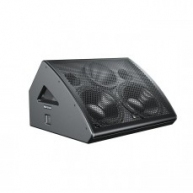 Its multi-functional design adds considerably to its value as a full-range loudspeaker. 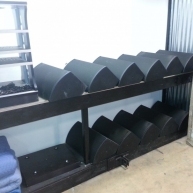 Combining high output and natural reproduction, it is specifically outfitted to serve in a variety of both portable and permanent applications. 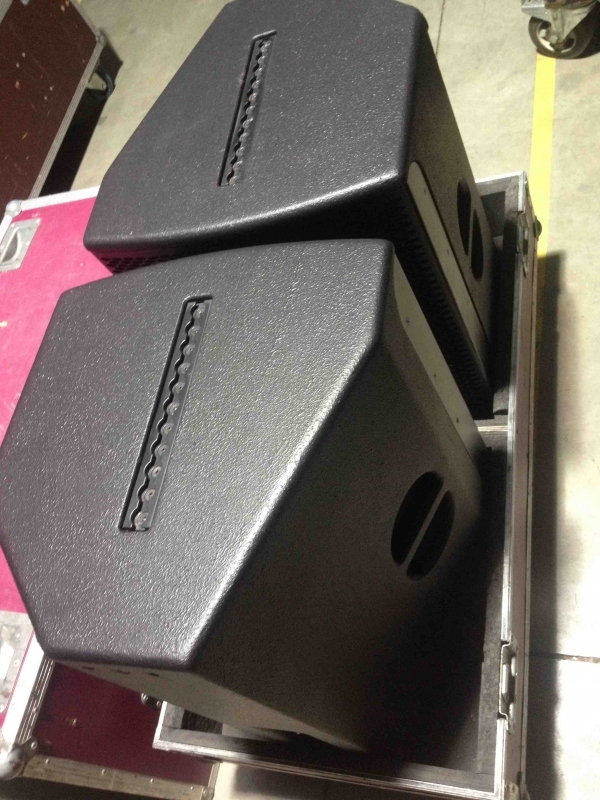 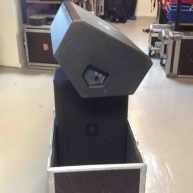 The asymmetric enclosure provides typical angles needed for ceiling and wall mounting as well as for stage monitor operation. 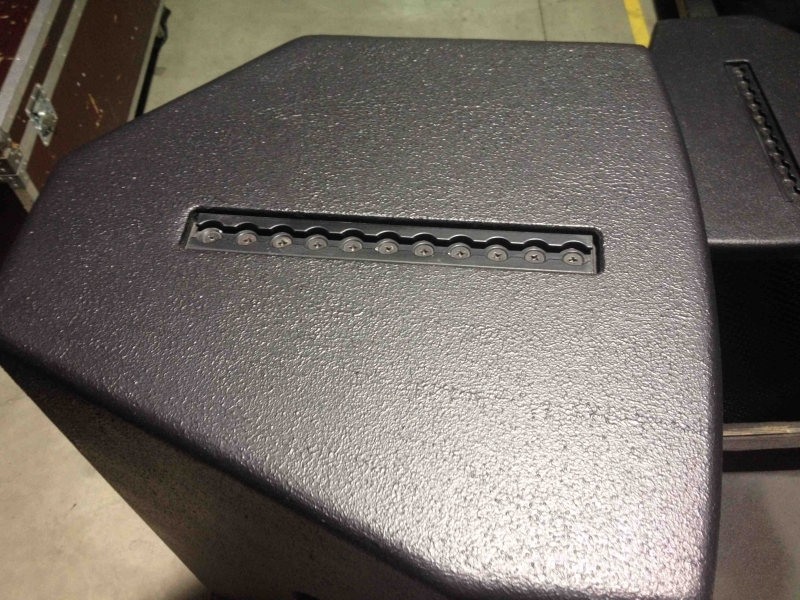 For permanent installation, enclosure hardware includes mounting points for an Omnimount Series 300 or similar bracket and fly track for suspension. 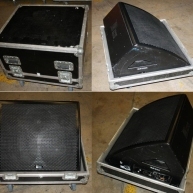 Provisions for portable use include a pole mount cup, top/bottom fly track for rigging, and handles integral to the enclosure that facilitate handling and transport. 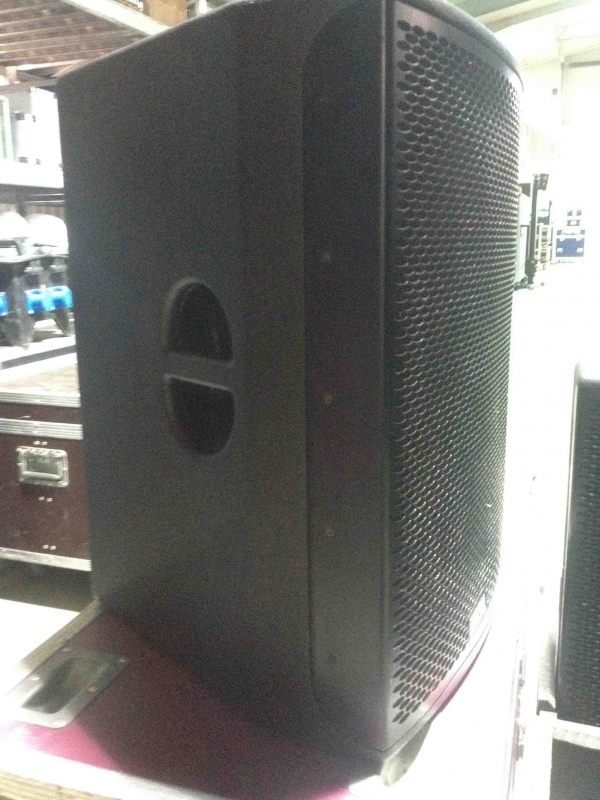 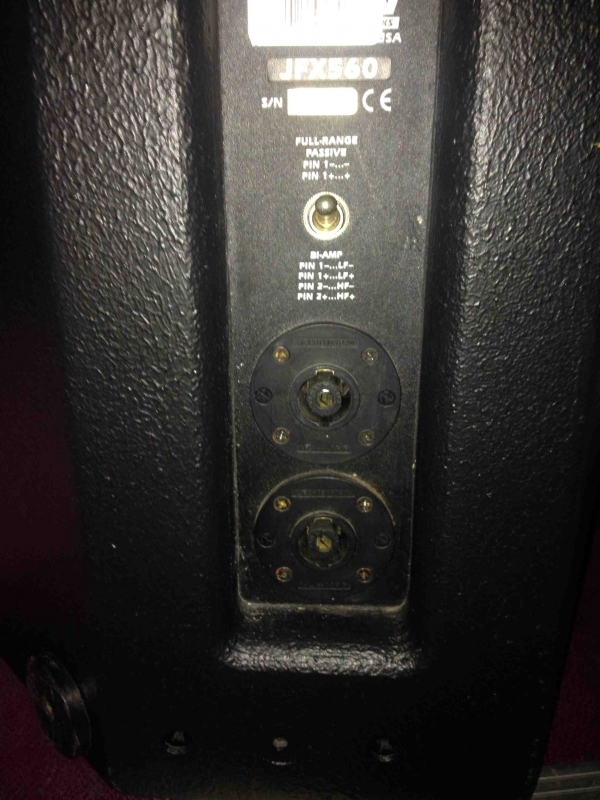 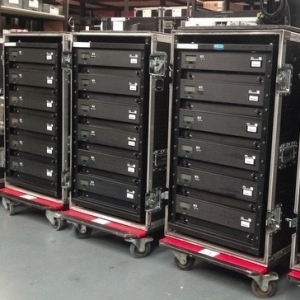 The JFX560 is particularly suitable as a nearer field main loudspeaker or as a fill/delay element in larger systems. 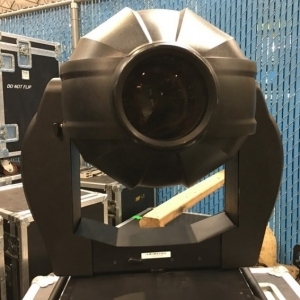 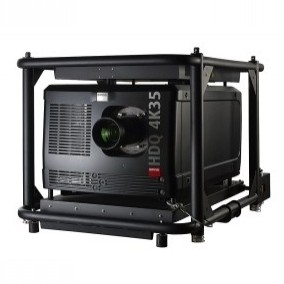 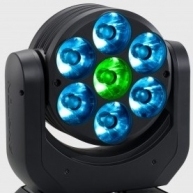 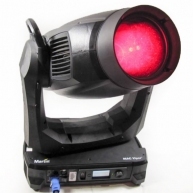 Its wide angle projection makes audience coverage easy in a variety of situations. 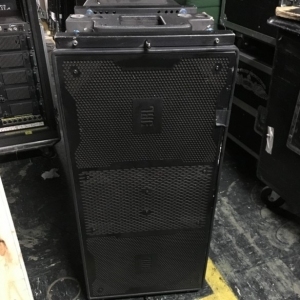 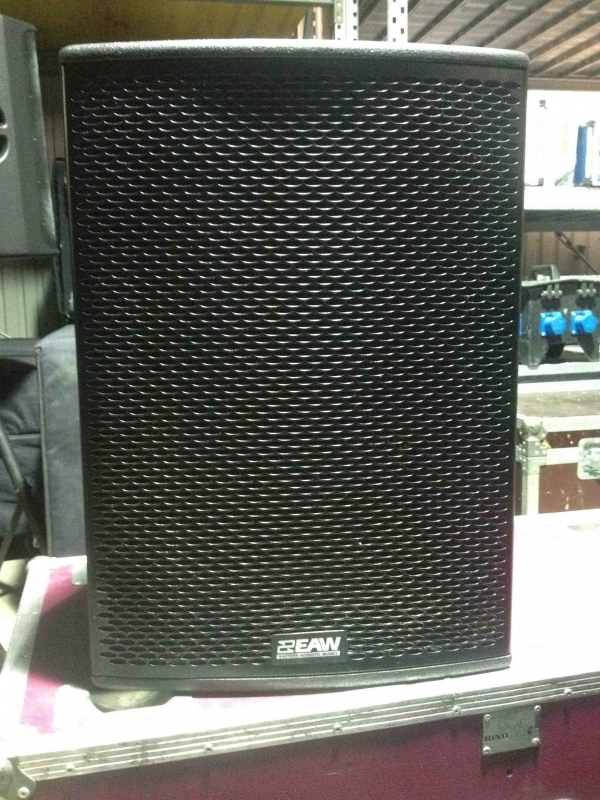 While the JFX560 is well suited as is for many applications, the addition of a Subwoofer expands its capbilities for more demanding applications such as for houses of worship, theaters, and band PA.
JFX560 - JFX560 in good condition.